Long off the market, this updated and expanded edition includes new presentations, illustrations and bonus content. If it's comedy magic you're after, McCarron includes his Scandinavian Flying Fish, Budget Cuts and Whisky on the Brain routines. For a change of pace, Einstein the Educated Dove will have your audience believing that your dove is psychic. 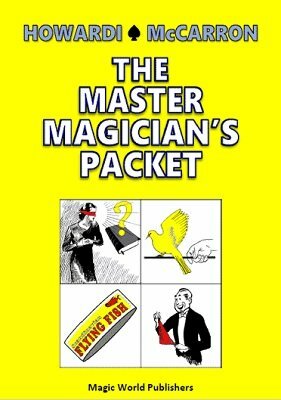 Mentalists and mental magic performers have not one, but two book tests to choose from. They look so clean that you'll be tempted to perform them in a library setting. You'll also put Howardi's Simplex Card Code to the test right away, it's that good. All this and more -- 20 effects in all to choose from.